I share that when I left Iskcon in 2008, I prayed to Srila Prabhupada and Krishna to please bless me so that if I feel that someone wants to control me immediately I break the relationship with that person. I want to live free and happy in Krishna consciousness, and by the grace of Srila Prabhupada and Krishna that’s how it has been. I had to break relationships with people who pretended to be friends, but behind me they criticized me and wanted to control me. Now by the grace of Srila Prabhupada and Krishna I feel free and happy in Krishna consciousness. I am going to tell a very interesting story. 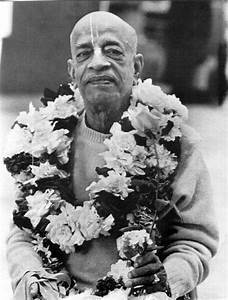 After Srila Prabhupada entered into his lila samadhi, Tamal Krishna invented that no one can go to Srila Prabhupada, but receive my mercy, the other gurus thought that if this invention of Tamal Krishna succeeds, we will not we will have disciples. Then all the gurus stayed with Tamal Krishna to speak with him in Los Angeles at the house of Nrisimhananda. 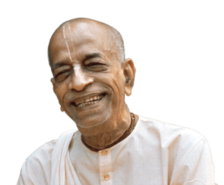 There Tamal Krishna said that in reality Srila Prabhupada did not leave anyone as a guru, but ordered us to initiate the people in the name of Srila Prabhupada. In an artificial way we have become gurus, because we have the desire to control people. That statement did not please anyone and they said that here we are all gurus. We are going to break all tapes that have been recorded with regards to this conversation. However, a devotee kept the tape without anyone noticing and that’s why these things are known. So the desire to control the others is very strong in this world. I heard that in the US Obama wanted to put a chip to all US citizens to control them. Thanks to the Evangelists who relied on the Bible saying that what Obama wants to do is the mark of the devil, and that it is prophesied in the Bible, and that stopped that idea. It is not the same to be controlled by a person full of lust, greed and anger, than being controlled by Srila Prabhupada and by Krishna. The control of Srila Prabhupada and Krishna is full of pure goodness and transcendental love. That control is very pleasant, once he feels that he is an instrument in His hands, and everything that one does is full of pure goodness and transcendental love. There is no false ego and one acts in his constitutional position as eternal servant of Krishna and His devotees.